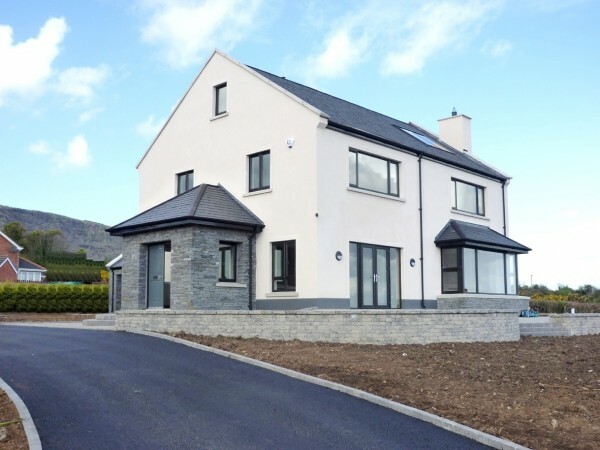 Construction a new two storey dwelling and integral double garage at Greenisland. The projected involved the construction of a four bedroom detached dwelling and garage at Greenisland, Co. Antrim. It included traditional construction with a concrete sub-floor, pre-stressed precast concrete first floor and natural slate pitched roofs. The contract included mechanical and electrical installation works as well as site-works and drainage. A bit more information about the the Private dwelling, Greenisland project.